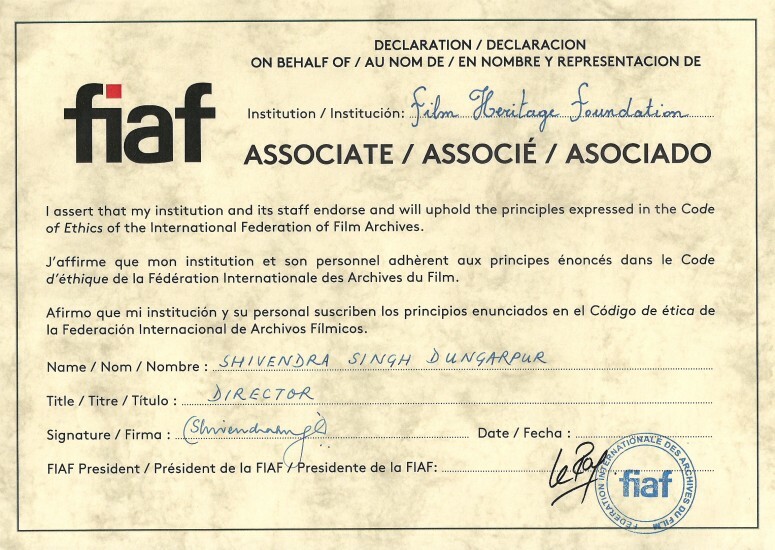 Film Heritage Foundation was accepted as an associate member of FIAF (International Federation of Film Archives) by the Executive Committee at the General Assembly held in Sydney in April 2015. We are proud to represent our country along with the National Film Archive of India (NFAI) on this international forum. Shivendra Singh Dungarpur was elected to the Executive Committee of FIAF at the 2017 FIAF Congress hosted by the Academy of Motion Picture Arts & Sciences in Los Angeles.